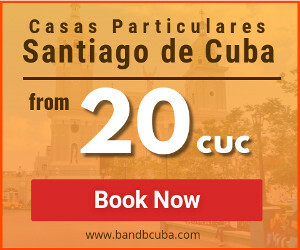 In Bed and Breakfast in Cuba, we will like to talk about the Carnival of Santiago de Cuba. The party, heritage, and tradition of this celebration are well-known. This is one of the most popular in the Caribbean area, the music, dances and its people are the main attraction. Continue reading and learn more about this. In Cuba, the different carnivals are traditional and massive parties that people wait all year long to celebrate. They are distinct between regions, even they have different dates. Also adopt diverse names, like ‘Parrandas’, ‘Charangas’, ‘Romerías’. You can say that they have excuses to celebrate, and this is different in every carnival. Some started as a religious celebration, but now they are popular parties. The one thing all of them have in common is that they are an expression of the folklore and the local identity. We can use the word carnival as synonymous with popular local parties. Almost every town and village have its own party, they happen on different dates as we said before. Most of them happen during the summer. They have in common the parades, choreographic competition between comparsas, orchestras of popular music, dance and lots of food and drinks. Some are most popular than others, they are colorful, true to the history and has some drama. Here is a list of the most famous Cuban Carnivals, besides the one in Santiago de Cuba, to which we will dedicate some more space below. This is one of the most popular Cuban party, is famous and respected all over the world. Many of the locals live around this celebration, they spend the entire year getting ready for it. They receive international tourists from all over the world. The Parrandas de Remedios happens between 8th to 24th of December. The final celebration is on Christmas Eve. It takes place in San Juan de Los Remedios, the town divides into two groups and they have a symbolic fight. It is on for almost 200 years, and it has the title of National Culture Heritage. This carnival takes place in de Ciego de Ávila province. 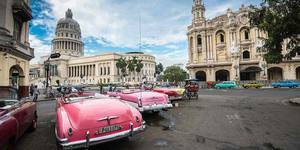 It is an important cultural exhibition and one of the most popular in Cuba. It is an example of tradition and happens around the 24th of February, it is the celebration of the independence war in 1895. There are two groups that fight; they dress in different colors, with comparsas, floats, and congas. The whole town gets involves and they decorate their houses and go to the streets to celebrate. The competition is not real, there is no jury, no one loses or wins, the winner is the town. 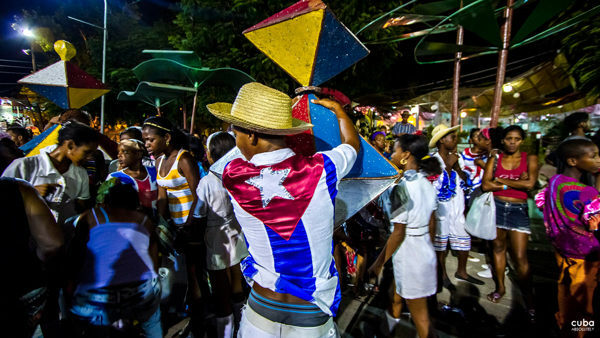 This town from the province of Mayabeque has one of the most traditional parties in Cuba. The music, dances, and shows. Since 2015 has the title of National Culture Heritage. This, like the one in Remedios, takes place in Christmas, there are also very popular for tourists. Like in the other ones two groups challenge each other, with rhythm and passion. 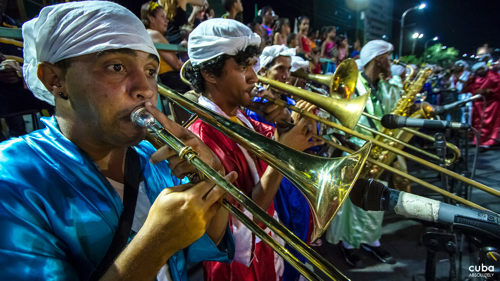 The carnivals in the Cuban capital are one of the most popular of this island. This party is mostly dedicated to kids, so you will find clowns, magicians, floats, and candies in the Malecon during the day. 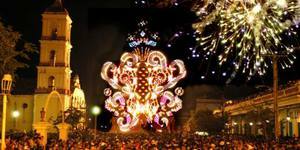 At night you will see the parades with the “Muñecones”, enormous figures that represent different characters. You will find local food and drinks. This one is in August, two weekends in a row. It is a party you do not want to miss if you are on the island, it is so colorful and legendary. This Santiago de Cuba’s Carnival celebration starts with the Fiesta del Fuego (Fire party) it is associated with Caribbean Festival in Santiago de Cuba. The societies with close relation to the Catholicism’s celebrate the carnivals just before the Lent. Depending on the year this happens in February or March, like in Italy, Brazil or Colombia. 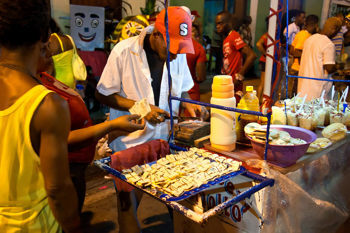 But the Carnivals in Santiago de Cuba are at the end of June. This celebration has a starting date in the 17th century. The origins some said is the evolution of the summer festivals known as ‘Mamarrachos”, that happens in June 24th and 29th, in July 24th, 25th, and 26th. As celebrations of different saints. But little of these celebrations had relation to the saints and the religion. The locals used them as excuses to celebrate things in its own way, and they kept the saint’s names for conveniences. People think they did so also to avoid the prohibition of this party by the colonial government. There is one religious date that has some connection is the Santiago Day, that happens on the 25th of July. And the relation is that in fact the modern Carnival almost every time concurs with this Saint´s day. As we said the started date is in the 17th century, but the exact time when they started to call it as Mamarachos is not known. It is believed that in the 19th century they were even bigger parties than now. The people of Santiago, like every Cuban, have the party in their blood. The conga music genre is their soundtrack for this festivity. The music goes on the streets and everybody celebrates, they drink rum and eat pork. It is said that these people are so spontaneous, cheerful and has so much rhythm that it is because of them that this party is so popular. They are ready to go out and dance and they do so on these days. But also, they share and enjoy others cultural activities. Conga, rumba, and salsa are some of the local music you will hear there. 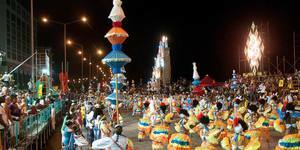 This year the Carnival in Santiago de Cuba will be between de 21 and 27 of July. 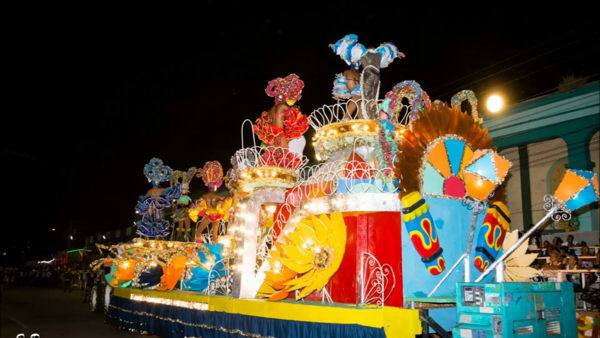 The party has the title of National Culture Heritage, they are beautiful, and they are included in the Network of Carnivals of the Caribbean. These are big carnivals but not as big as the ones in Rio, Brazil. This fact has some advantage because there will not be so crowded, and you will be able to enjoy the shows. There are floats and comparsas, dances and music everywhere. The modern Carnival in Santiago has two weeks of celebrations, party, and joy everywhere. 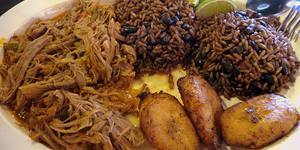 Congas, dances, and traditional cuban food in the whole town. This is why the locals wait all year thinking of this. The floats start practicing in June, and they take part in a competition for the best ones. It is usual that the people in the cars are members of the same family, and they have been doing this for generations. The parade starts with the muñecones, these are big characters for kids. This is especially for the little ones, some adventurous will like to touch them, others will hide. It is a beautiful child activity. Then you will see the little star (Estrellita) and after this the star (Estella). And after this the comparsas start to drive in the streets, the most famous ones, that has more than 100 years are Carabalí Izuama, Carabalí Olugo, y Tumba Francesa. The attractions are these cars, with people on them who dance and parade with their costumes. It is amazing to see this; they are majestic, mystics and so original. The music is perfect for dancing. But this is not everything, the Paseo is a comparsa that announces the arrival of the faroleros y penduleros (Lamplighters and pendulums); this can be a three-block parade. Then comes the dancers, with great costumes, that do they choreographic with perfection; this can be from three to twelve blocks. The Paseo ends with a float that has beautiful women on it and they wave to everyone there. This is another thing; the rhythm can put everyone on the dance floor. Everybody dances with the comparsa conga. As part of this is the Caperos parade, it is an exhibition of designer capes that are a true piece of art, made by hand. The conga are the music groups that goes inside the comparsas in the carnival, they include musicians, singers, and dancers. All the members of the groups are dress alike, with costumes and dance choreography. The instrumentation is different from other famous congas like the one in Havana. This includes the Chinese cornet, galletas, pilón, bocúes, quinto, and brakes. We associate conga with the music genre, but the origin of the term is this and dates back to the 19th and 20th century in Cuba. The main celebration is this, but the whole city is partying. The blocks are decorated and every few blocks you will see a kiosk. These are small rustic places, decorated for the occasion; street points where you can enjoy even more than in the parade. Are small parties where you can eat and drink. Now you know why we said that the Carnival of Santiago de Cuba is all about Party, heritage, and tradition. If you want to visit the island contact us and book an accommodation in this town.